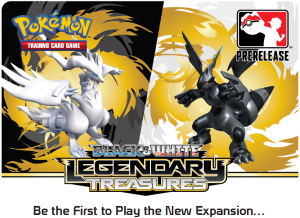 Legendary Treasures is the last set in the Black & White series. This set should provide alternate versions of many popular cards along with some new, exciting additions. Additional expansions become legal three weeks after they are released into a market.